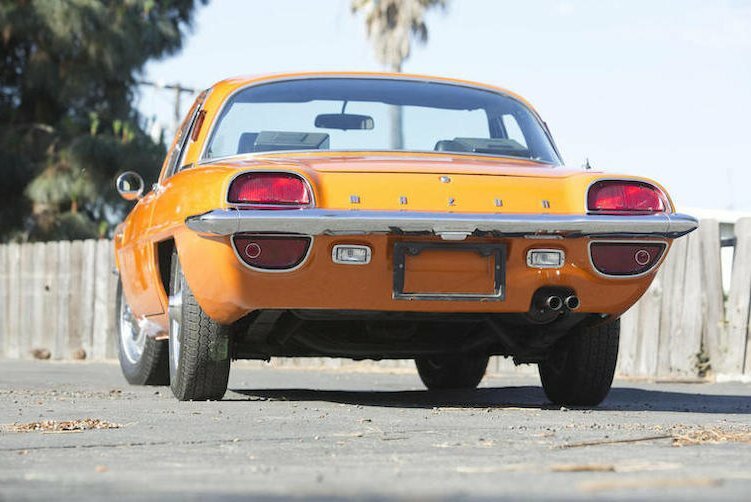 Mazda’s 110S Cosmo was an unusual car on a number of fronts. First, it was Japanese, and the Japanese were very much working on building a reputation as competent builders of decent cars in the 1960’s. The sixties were a time when people would joke that if you took the door trims off a Japanese car you would find a “Heinz Baked Beans” label inside. But the Japanese are a dedicated people focused on achieving as close to perfect as they can manage. Thus we see in the Mazda 110S Cosmo a combining of imaginative design, interestingly creative styling, and cutting edge, even “bleeding edge” technology. 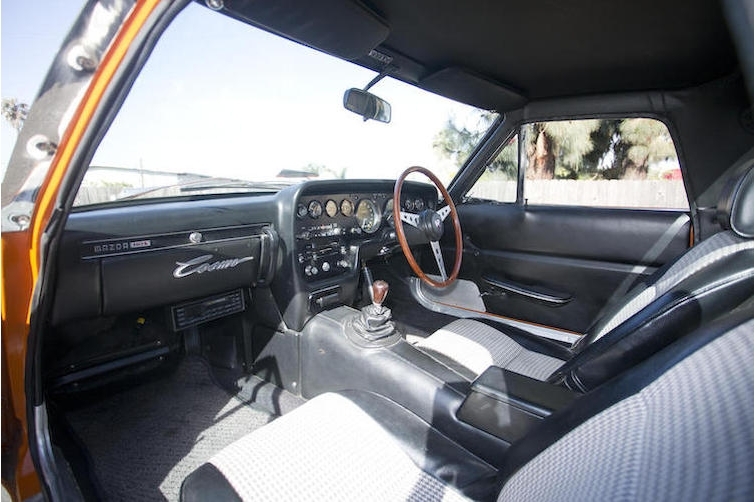 The interior of the Mazda 110S Cosmo is all sports car. Modelled after the sports and GT cars of the sixties it is tasteful and restrained. First impressions of the car are, for me at least, that the designer has been inspired by the Jaguar E Type and the Ford Thunderbird, merging these ideas that shouldn’t be combinable into a concept that works. The car successfully brings together sixties European and American styling and makes it work. The car is interesting to look at from every angle, and then when you sit inside it wraps itself around you with a conservative environment complimented perfectly by an engineer’s dashboard. It’s a car that gets you thinking “I could do a thousand miles in this, and do it comfortably”. The front of the car has just a hint of Jaguar E Type. The rear of the Cosmos is quite American, perhaps like something you’d expect on a Ford Thunderbird or similar. Given that, during this time, the Jaguar E Type had been described by Enzo Ferrari as “The most beautiful car ever made”, and, on popular radio at the time was the song “We’ll have fun fun fun now that Daddy took the T-bird away...” and the motivation for the Mazda designers to bring these together makes sense. This car has such an interesting shape, a European front end with a long American tail. 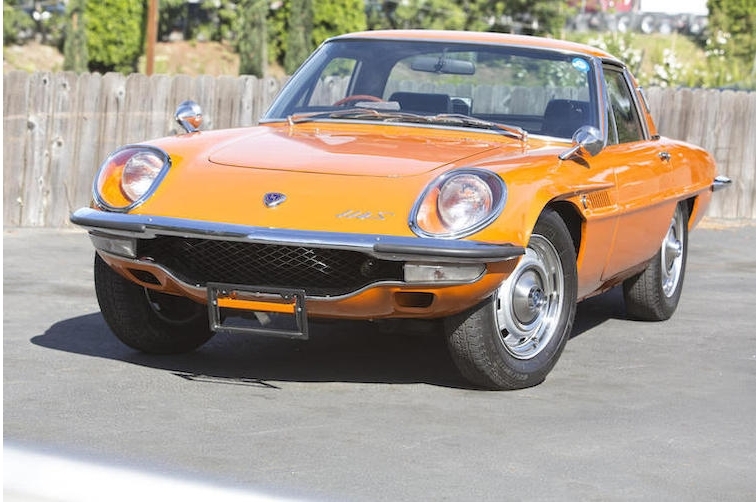 I think the design team a Mazda realized that they couldn’t compete with the likes of the Pontiac GTO or Ford Mustang of the sixties, but they could give the likes of Lotus a run for their money. The twin rotor Wankel rotary engine of the Cosmos sets it apart from the competition. It immediately makes it a car with cutting edge engine technology. 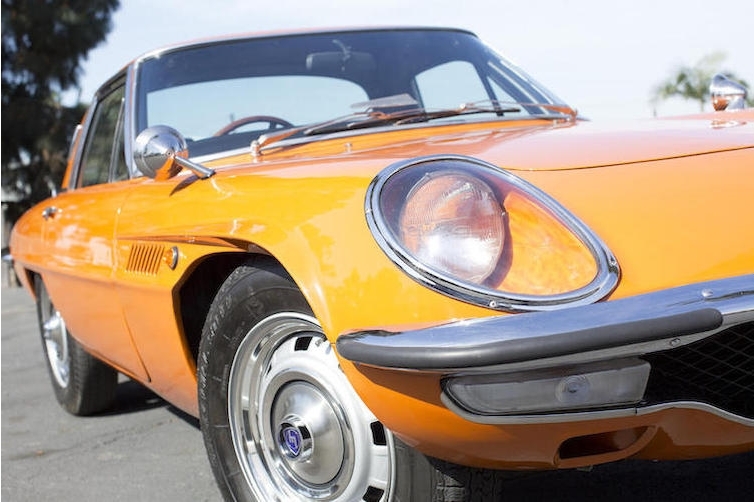 In order to break into the sports car market there needed to be something that would set this car apart; a piece of technology that would appeal to an enthusiast driver, that technology was the Wankel rotary engine. Given that, in the sixties, most of us had never seen a car with a rotary engine, unless it was an NSU Ro80, and they were as scarce as the proverbial rocking horse droppings. So the use of this ground breaking technology set this little Japanese sports car apart as something to be sought after. The builder’s plate describes the twin rotor engine as having a capacity of less than 1 Liter. 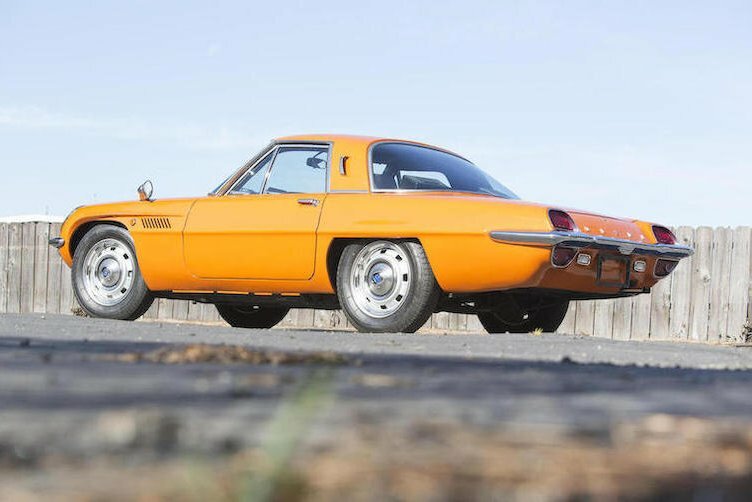 The Wankel however produces power of an engine more than twice that capacity. 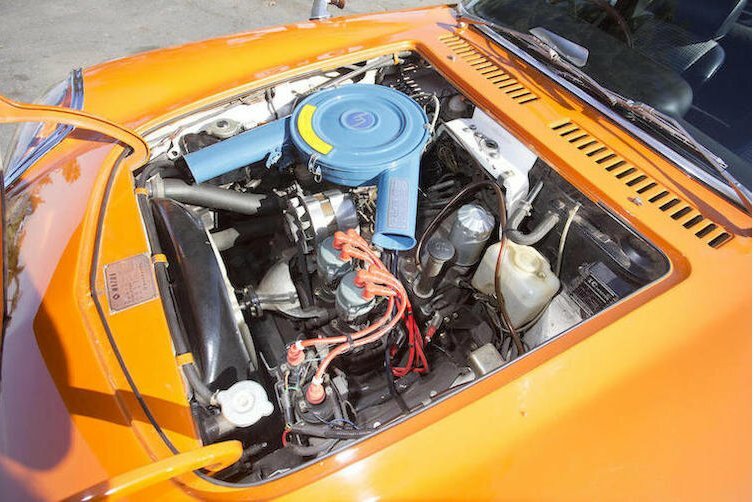 The Wankel rotary engine was one of a number of rotary and “orbital” engines that were appearing in the sixties. Another was the Australian “Sarich” orbital engine. The Wankel is the only one that really achieved market share. Its operation is fascinating as it manages a four stroke cycle in an engine with no pistons or reciprocating parts. How does it do that? Watch the video below to find out. The Mazda Cosmo went into production in 1966. This was the L10A. 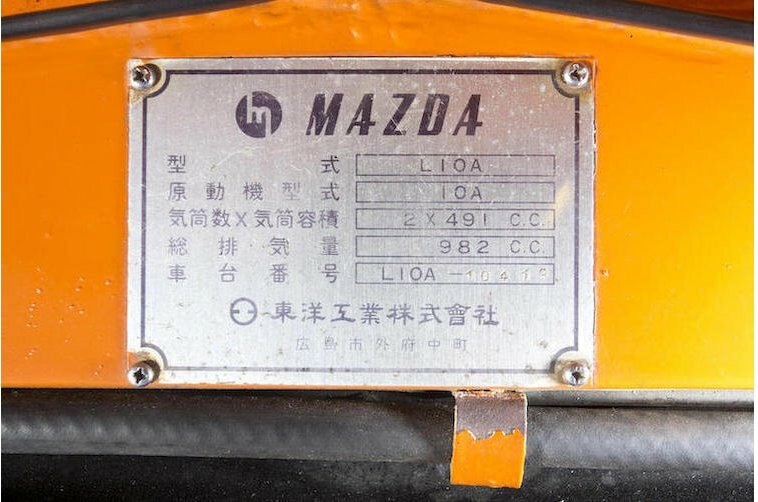 What is remarkable is that Mazda had only begun manufacturing motor cars in 1960. They produced their first rotary engine car in 1964, and this gorgeous L10A Cosmo in their sixth year of car manufacturing. This is itself a testimony to the extraordinary team that Mazda had assembled to design and bring this car into successful production. The 982cc 110bhp twin rotor engine gave the first model Cosmo a top speed of 185km/hr and spirited performance in getting it there. Suspension was fully independent at the front and a sensible De Dion rear. Initial gearbox was a nice four speed manual, later replaced with a five speed manual. Mazda gearboxes of this period were positive and smooth, a delight to use. In July of 1968 the Cosmo was upgraded as the L10B with engine power boosted to 128bhp and top speed increased to 193km/hr, almost the magic 200km/hr. Part of marketing a car such as this, and of establishing your company as a credible motor car manufacturer was to get the Cosmo into competition and to do so with the chance of success. 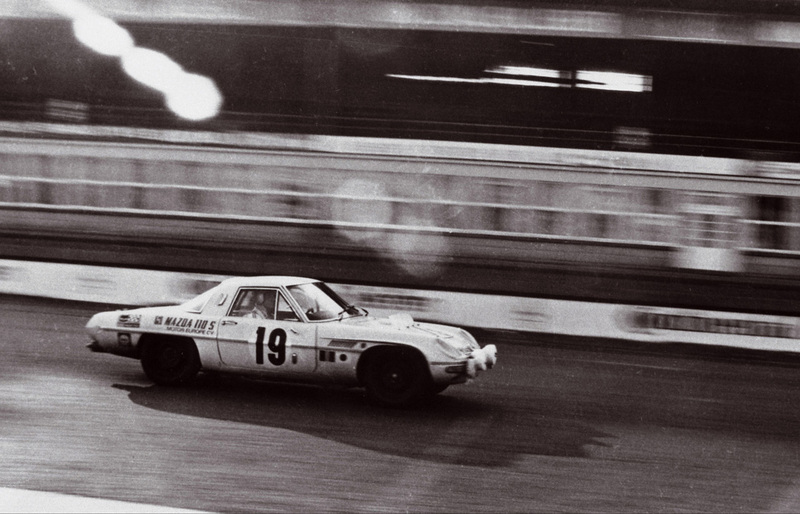 With this in mind Mazda entered two Cosmo in the 1968 “Marathon de la Route”, an 84 hour event run at the fabled, and difficult, Nurburgring race track. One Cosmo was forced to retire in the 82nd hour. The survivor came in fourth place behind two Porsche 911’s and a Lancia Fulvia 1.3 HF. I suspect the Sake flowed freely after that result as the boys celebrated being right up there with top names in motorsport. You can find the results of the 1968 Marathon de la Route if you click here. 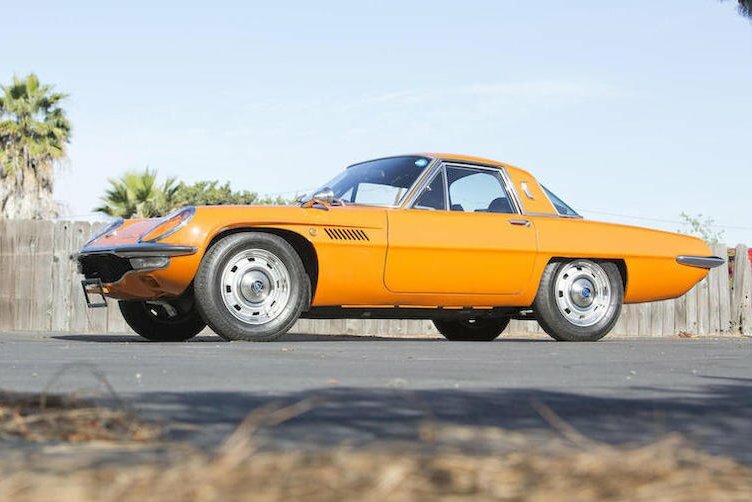 The pretty orange Mazda 110S Cosmo Sports Coupe we have featured is coming up for auction by Bonhams at their Greenwich Concours d’Elegance Auction on 31 May 2015. The car is a rarity in that it is a transitional model produced between the rare Series 1 110S model and its successor the Series II. So this car has the shorter wheelbase and drive train of the rare Series I, but the front end styling of the Series II. 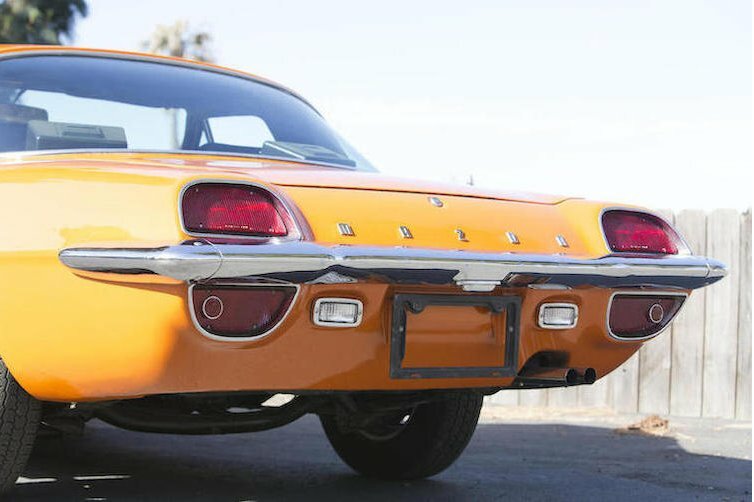 This is a rare car, only 343 Series I cars were made, and a total of 1519 Series I and II combined total production, and this one sits in “the Twilight Zone” between the two series. Add to that its a car with fascinating design styling and pioneering engine technology. It is a car to delight an enthusiast.